Well, it’s Democratic operative with a byline John Harwood after he was issued his talking points from 2018’s equivalent to the Journolist, so what did you expect? But how would NBC rate “mob” as a dog whistle up against “golf” and “Chicago,” which were spotted by NBC’s Bletchley Park-level racial decoder equipment in 2012? 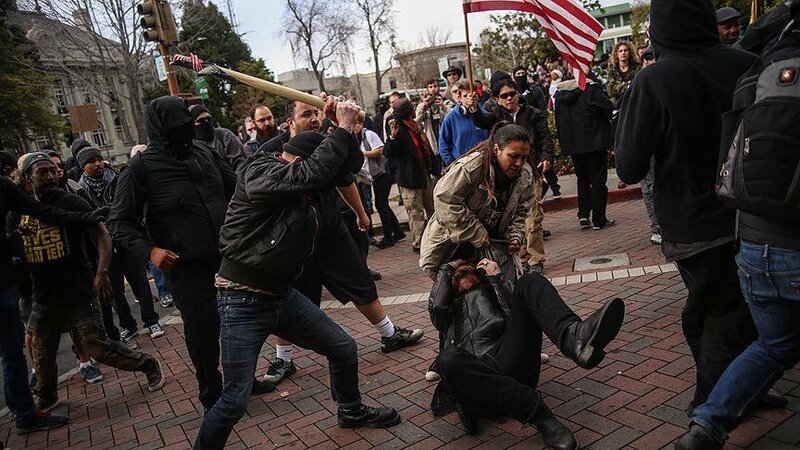 AND WHILE WE’RE AT IT: Why are the leaders of the Left and the Democrats (but I repeat myself) silent when their sycophants commit mob violence in the name of causes they support? This is emblematic of the Left and Democrats. 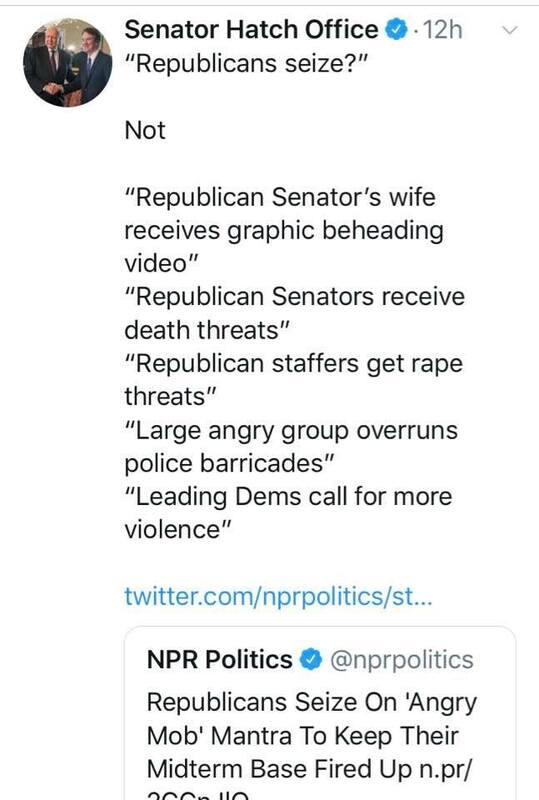 By contrast there is this: Conservatives jump to condemn the mob attacks on Nancy Pelosi. If you’re still uncertain, here’s help. How To Tell If You Are Part Of A Mob? Blaming the Right for Leftist violence goes back to the 60s and before: The politics of reporting on left-wing violence against the right. Leftist Vocabulary: It’s Only an ‘Angry Mob’ if It’s Made Up of Republicans. ● Democrat Doxxer Threatened To Reveal Senators’ Children’s Health Information. ● DC restaurant: We’ve received death threats after Ted Cruz, wife forced out by protesters. ● Networks Silent On Attempted Stabbing of GOP Candidate By Anti-Trump Attacker. ● Bernie Bro James T. Hodgkinson, Attempted Assassin Of Steve Scalise, Already Being Erased From History. ● Politico: After failing to stop Kavanaugh’s confirmation, Democrats wonder if it’s time to be more ruthless. Many (most?) of these are taken from postings from @instapundit, especially from Ed Driscoll. 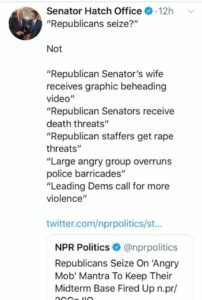 This entry was posted in Democrat Party, Ethics and Morality, Trump Derangement Syndrome, Violence. Bookmark the permalink.